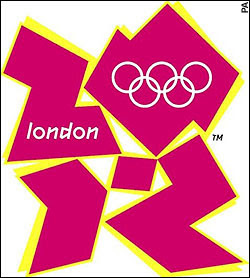 As we know, the London 2012 Olympics Logo (aka Lisa Simpson Gives Head) has attracted a fair amount of criticism since it was unveiled in 2007. 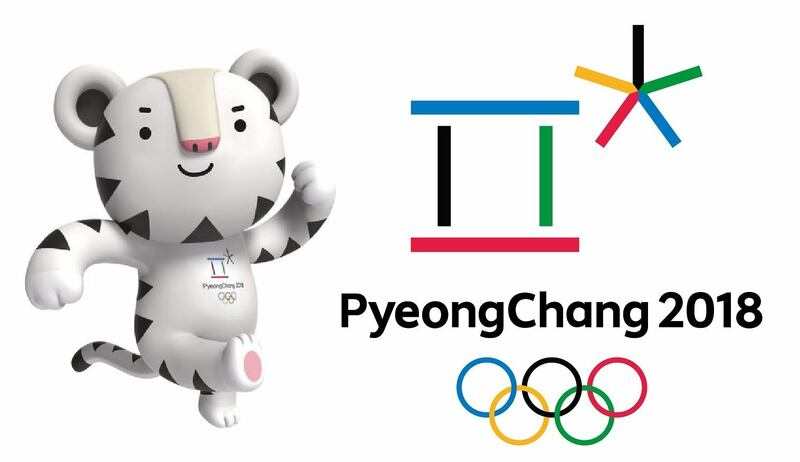 However, even by the standards of the Olympics, the latest fuss over the logo is absurd in the extreme. The National Olympic Committee of Iran has sent a letter to the International Olympic Committee (IOC) complaining about the logo of 2012 London Olympic Games. Apparently, the logo says "Zion"???!! The letter is signed by the Head of Iranian Olympics Committee, Mohammad Ali Abadi and the Secretary General of Iran's Olympic Committee Bahram Afsharzade addressed to the president of IOC Jacques Rogge. "We appreciate the committee's efforts in line with developing the spirit of Olympism all over the world. We ask for your consideration of the following issue which if neglected, may have destructive effects on the future of sport, especially London Olympic Games in 2012. Highlighting the values of Olympic, which ban any sorts of partiality, political, religious and racial measures in this field, may have a leading role to hold London Games better. We have two years ahead to the opening of the games and unfortunately we see the games face with a critical challenge at the beginning which is raised by the racial attitudes of some individuals. As internet documents have proved, using the word Zion in the logo of 2012 Olympic Games is a disgracing action and against Olympic's valuable mottos. There is no doubt that negligence of the issue from your side may affect the presence of some countries in the games, especially Iran which abides by commitment to the values and principles." The logo is undoubtedly dreadful in terms of aesthetics, and conveying the concept of the games. However, to claim that it actually says "Zion" and is intended to be a racial insult is nonsense. That being said, this absurd objection will undoubtedly stir a large number of people up and there will be a lengthy and unnecessary fuss over this. The Telegraph reports that Mike Whitby, leader of Birmingham council, has had to make something of a volte farce. He had suggested that residents be charged to watch Jamaican and United States athletics training in Birmingham, in the weeks leading up to the 2012 London Olympics. However, following a public bleating and outcry, he has had to backtrack. I disagree with the public bleating, making money is entirely within the "spirit" of the games. Additionally, given the size of the ever increasing Olympics "budget" (£12BN including running costs) and the fact that the country has a £4.8 Trillion debt, any opportunity to reduce public costs should be grasped firmly. "We're talking about legacy, you’re talking about upgrading toilets as a result of this." The Telegraph reports that the UK's attempts to target British Olympics fans with a "UK only" promotion of tickets for the 2012 games, may be stymied by the EU. EU National Olympic Committees are threatening to promote the UK process in their own countries, as a result of a perceived "slap in the face" emanating from reductions in their ticket allocations. The market for the UK ticket promotion may now rise from 60M to 500M. It seems that records are already being broken, despite the fact that the 2012 Olympics have yet to start. "Prestige" seats to watch the most popular events at the Games will cost £5,400 per person. This price is the second highest price for sports seats in history, being beaten only by the £5,500 price tag for the 2011 Super Bowl. The Telegraph reports that the National Audit Office (NAO) has found “substantial risks” in the London Organising Committee for the Olympic Games budget, raising the possibility of the Government having to bail it out because of financial guarantees given to the International Olympic Committee. No surprises there then, the original "budget" has swollen from under £3BN (when the UK was bidding for the games) to at least £12BN (including the £2BN running costs). Does anyone (aside from LOCOG) seriously believe that the final costs will not exceed £12BN? The London 2012 Olympics schedule has been released. It can be viewed here Schedule. West Ham, as predicted, have won the approval of the Olympic Park Legacy Company (OPLC) for taking over the Olympic stadium after the 2012 games. However, Spurs are not best pleased with this result and are reportedly considering legal action. It would seem that the increasingly vitriolic and acrimonious battle between Spurs and West Ham, for control of the Olympic stadium post 2012 Olympics, has been resolved. West Ham United are expected to be recommended as the preferred bidder for the Olympic Stadium on Friday, when the Olympic Park Legacy Company (OPLC) will meet. Seemingly Spurs' plans to rip up the athletics track, thus denying any form of athletics legacy as promised in the original bid for the games, was a step too far. 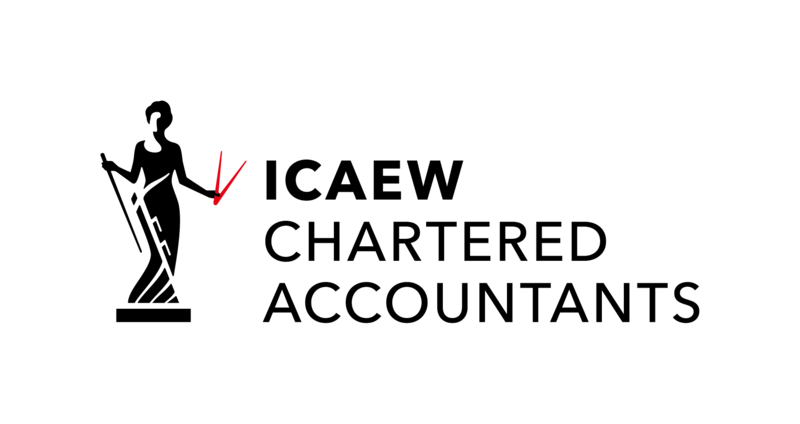 Once OPLC ratify the bid, it will then pass to London mayor Boris Johnson and government ministers Jeremy Hunt and Eric Pickles for final approval. As to whether a combined track and football stadium is actually economically viable, only time will tell. Once the economic success/failure of the Hammers' legacy is actually known, those who have made the decisions and backed the bid will have long since moved on. Locog has done a U turn on an earlier decision to save £7M from the out of control Olympics budget (currently standing at £12BN including £2BN running costs), by reinstating plans to wrap the outside of the Olympic stadium. However, this time they are seeking money for the wrap from the private sector; as such the wrap might contain a sponsor's name (if rules that forbid branding on Olympic venues can be bent). The way to bend the rules is easy, the wrap can be classified as not being part of the permanent Olympic structure and be classified as only a "temporary hoarding". My sympathies to Kamel Kichane, owner of Cafe Olympic in Newham, who has fallen foul of the Olympic money making machine. Mr Kichane took advice from Newham Council, three years ago, about naming his restaurant Cafe Olympic. The council gave verbal permission for the name. However, trading standards officers from the council are now threatening him with legal action unless he changes the name (as they claim it is an unauthorised use of the Olympic brand) at a cost of £3K. Will the organisers of the Olympics also be pursuing other larger organisations, who use the word "Olympic" in their names, eg Olympic Airlines? The foreign affairs committee has expressed concern that the Foreign Office's overall message about what Britain is, and how it should be regarded during the 2012 Olympics is ill-defined. Seemingly the committee wants Britain to be promoted as a "diverse, inclusive and friendly country. Or in a word ... generous." I wonder if that doesn't slightly go against the grain of David Cameron's recent speech, in which he sounded the death knell for "multiculturalism"? Notwithstanding that, the committee is also concerned that the Foreign Office (FCO) should squash any negative stories that appear in the media (I assume foreign media) about the Olympics. "We recommend that the FCO should form a 'rapid response unit', set up well before the Games, which is adequately resourced and prepared to take swift action to rebut or challenge negative stories appearing in the world media." Who then is meant to handle negative stories in the UK media? Surely the Olympics organisers already have a media and PR department set up at considerable cost to the British taxpayer? It has been announced that Heineken will be the official "lager supplier" at the London Olympic Games 2012, and sponsor of the 2012 Games. There's a good legacy for the games! The Tourism Minister, John Penrose, has said that hosting the Olympics in 2012 may well put tourists off from coming to Britain. Penrose is of the view that normal tourists will assume that the country is either full or "closed" during this period. 1 The rip off prices and lousy service of London's restaurants, hotels, bars and tourist destinations. 2 London's lousy transport infrastructure.